You’re gonna need a bigger sandwich! 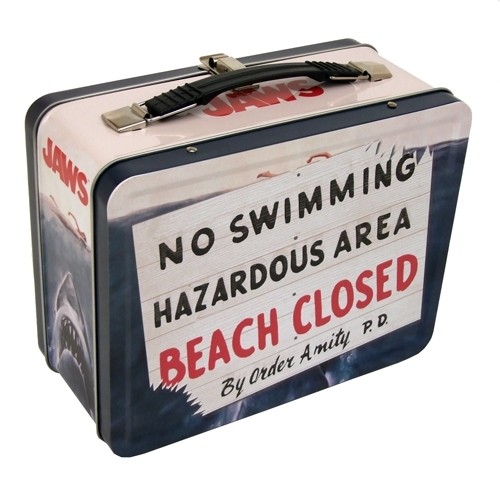 Constructed from sturdy metal this retro styled lunchbox features the famous ‘ No Swimming’ sign on one side and the iconic poster artwork on the other. 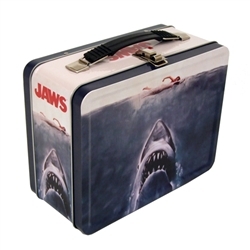 This is a lunchbox you will wish you had back in 1975. Suitable for lunches, chum and possibly even a few beers! Now you can tote around your love for all things JAWS in style.